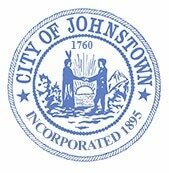 .The City of Johnstown Water Department maintains all water infrastructures within the city limits. For questions related to current service please contact the Water Department. For new connections please contact the Code Enforcement Office to start the process with the appropriate building permit. The Water Department’s primary mission is to plan for, operate, and maintain both the infrastructure and the organization necessary to offer high quality drinking water in conjunction with providing an adequate and reliable water supply for all household, commercial, and community needs. Whether we are providing safe water for residents to drink, supplying water for industries to manufacture goods here in the City, or protecting the region’s water resources, serving our customers with quality has been a commitment of the Johnstown Water Department throughout our history. The Water Department holds monthly meetings at 27 E. Main Street, the 2nd Monday of each month at 6:00 p.m. Please click on the following link to view meeting details of the Water Board.